I have yet to decide where I will be placing these in the house, but I will be finding room somewhere, I am thinking they would go great in our boring hallway that I have yet to hang anything on. 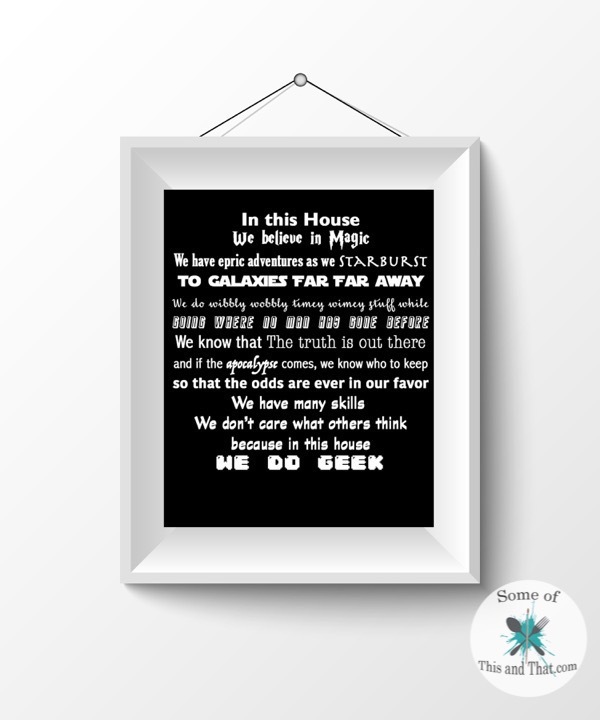 Each nerdy printable has something unique about it, bringing in quotes and themes from some of the most popular and classic movies from the nerdy genre. 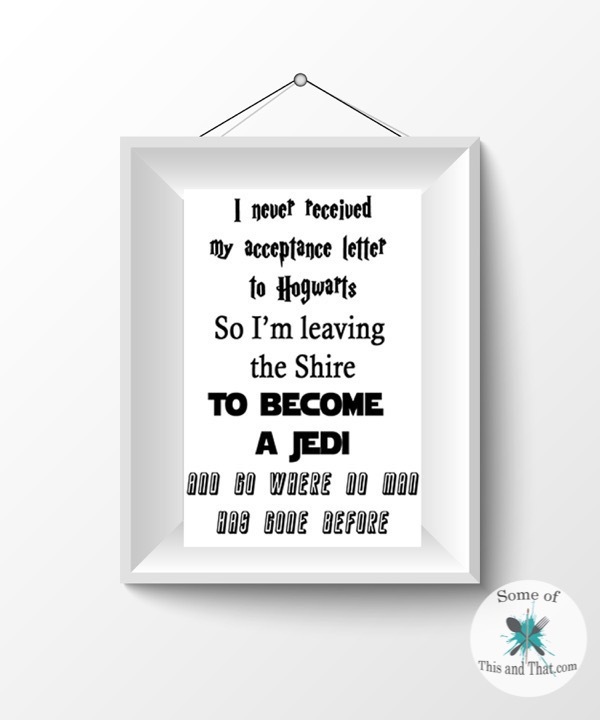 I do not know about you, but I am also still waiting on my letter from Hogwarts. Maybe one day I will receive it. Each file prints out as an 8×10 image, so they are super easy to print at home and display in any frame! 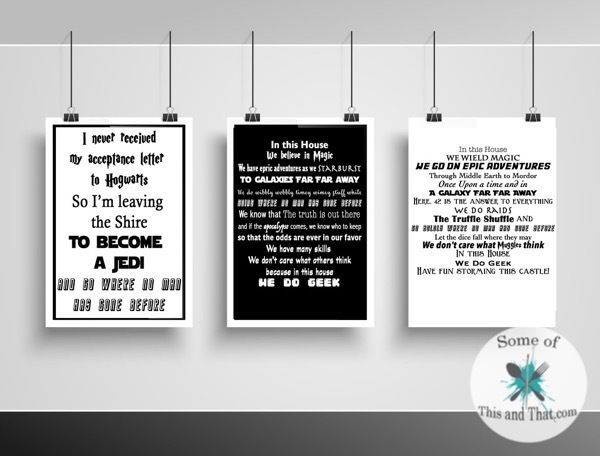 Be sure to check out the other Free Printables available! 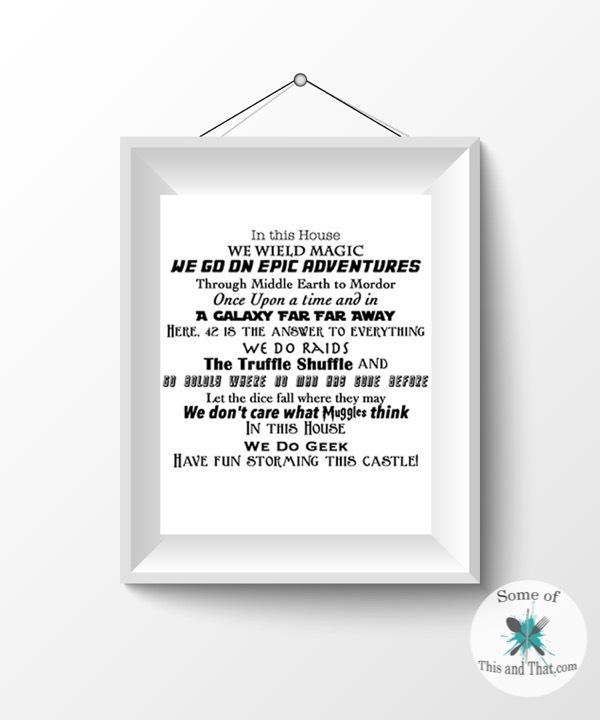 Be sure to follow us on Facebook and Pinterest for more fun printables! I just found your sight on Pinterest. I love your sense of humor. I look forward to many fun projects from you. So glad I found you. And I love the font when I signed up to receive your emails. LOVE IT!